Condo Living, DMCI, Flair Towers, Health and Wellness, La Verti Residences, Sorrel Residences, Tivoli Garden Residences. We all have those days when you simply want to go to a place where you can de-stress and view things in a different perspective. Whether you’re feeling a bit stressed, down, inspired, or getting through a series of life’s emotional events, there’s something about horizons that makes you feel calmer, livelier and at peace. A good view of the cityscape at night can get stresses of an all-day’s work gone. Good thing our communities are built with scenic roof decks, view decks and sky lounges perfect to fulfill this once unnoticed need. These amenities are made open and available to all homeowners and guests of these properties. Here’s some of the roof deck view shots, that will simply mesmerize your troubled eyes, and soul. 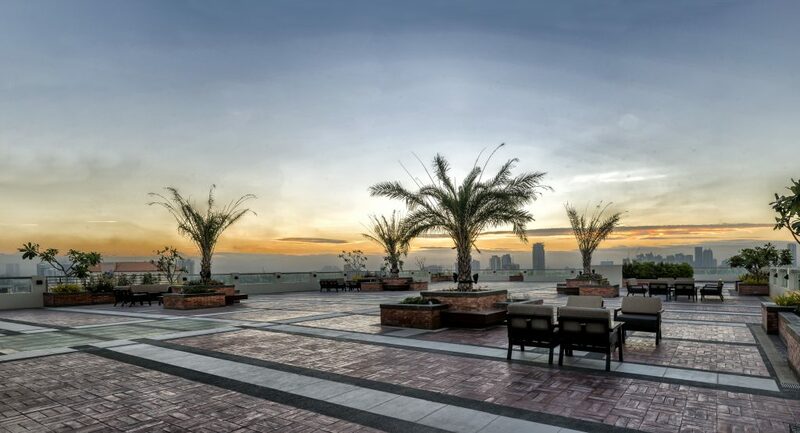 Located at E. Rodriguez, Quezon City, Sorrel Residences offers a great view of the Quezon City landscape atop its spacious roof deck. With not much buildings in sight, the skyline view will give you a clearer vision of the not-so-far-away buildings that seemed too little at a distance. Traffic can never be fun to watch, but seeing headlight lamps slowly moving or static at a great distance can be part of the one’s nightly amusement. 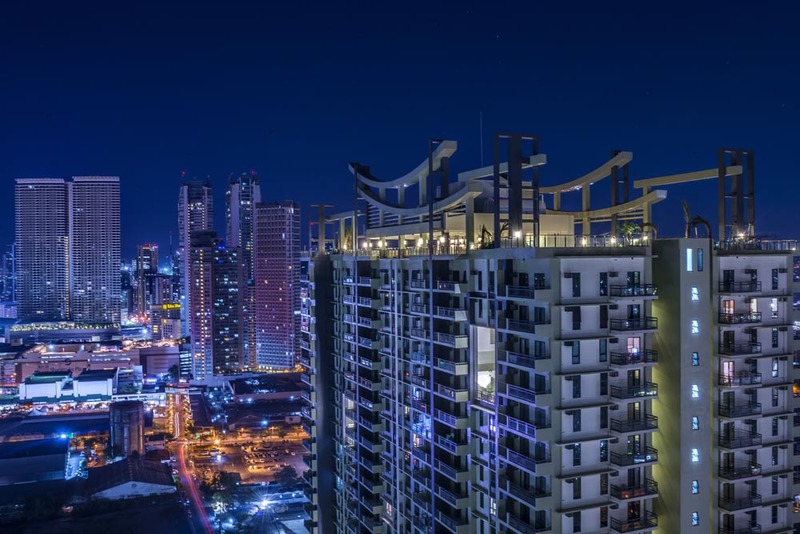 Conveniently nestled near EDSA Mandaluyong, Flair Towers is a beautiful property with a pretty awesome view. 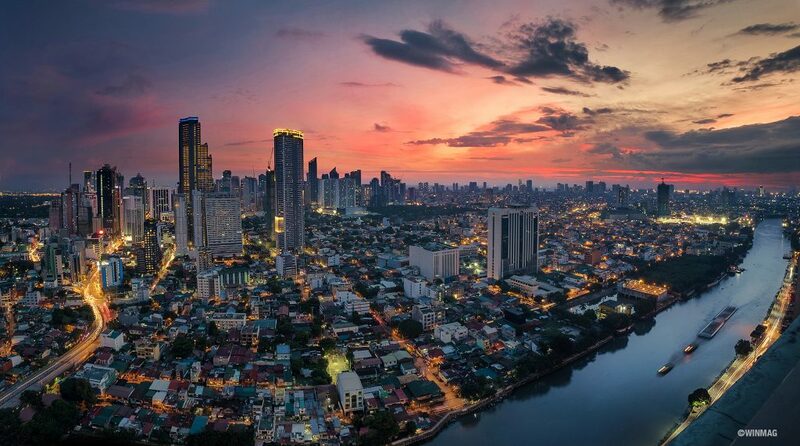 It offers the sight of the Mandaluyong vista while giving you the best bird’s-eye-view of the whole property. Not really for the acrophobics, but from the roof deck’s spot, you can also admire the great architectural symmetry of the amenity core below. It’s like seeing the whole property in a totally cool view. Sunsets here are exquisite too. Standing at the center of Makati and Mandaluyong, views from this property are a bit overwhelming, but in a totally good way. Buildings crowding the vistas are surprisingly gratifying to see, especially when lights turn up at night. The Pasig River adds balance to the whole view as well, cutting the two cities in serpent-like currents. Traffic passing around the Makati-Mandaluyong vicinity flashes twinkling lights, moving in uniform patterns. These views made us want to see that city life may be awful, cramped and unpleasing, but taking a look at it in a new perspective lets us appreciate it in an entirely different way. Watching either the sunrise or sunset from here is just as grand. Views from La Verti Residences deck at night shows a wonderful play of city lights, reflected on the bay. 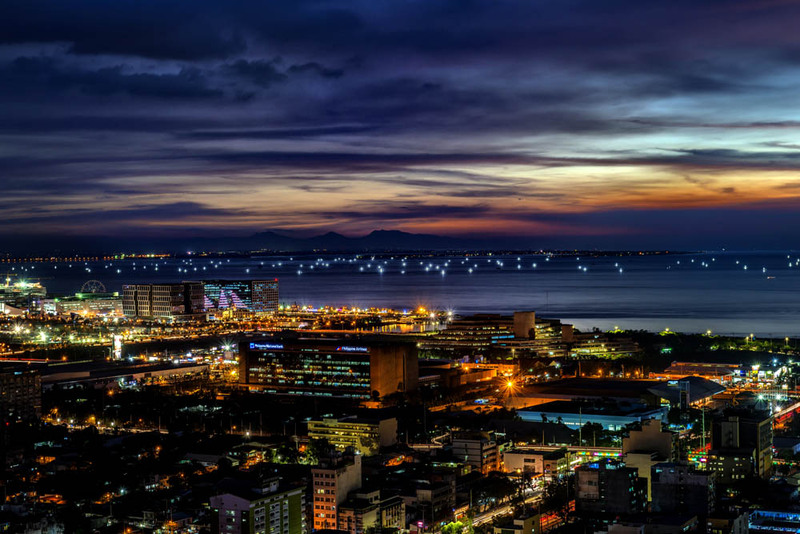 With the Pasay – Parañaque skyline, nightly sights include dancing lights and the calm bay from afar. We dare you to spend one dusk at the deck, and you’ll never find a more serene way of spending it. The skyline offers a beautiful contrast of the busy roads and the tranquil bay, side by side each other– It’s like viewing two different worlds at once. 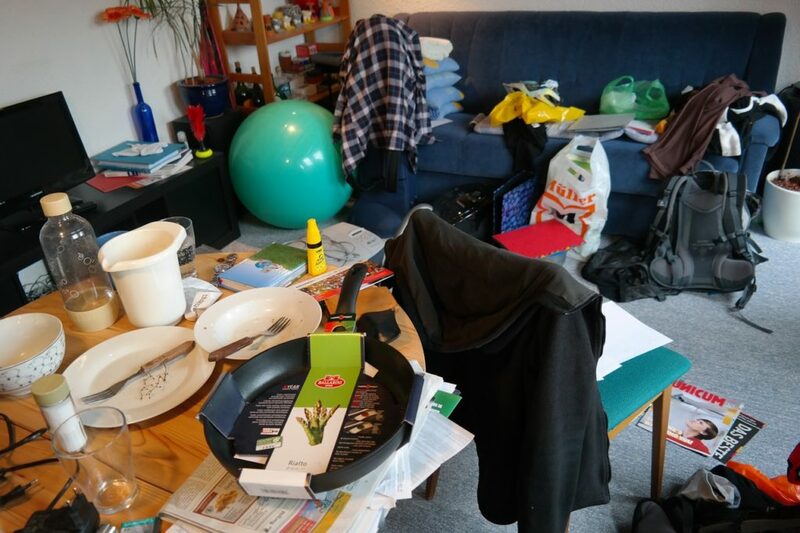 This one here offers a completely different skyline view. 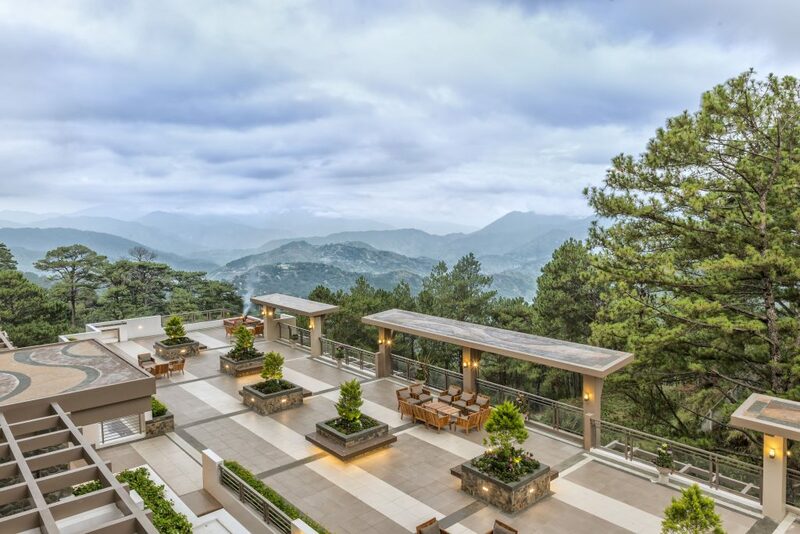 Located in Outlook Drive, Baguio City, with the property designed facing the Cordillera Mountains, and no buildings or traffic in close sight, your views are nothing but a taste of dreamland. The property’s view deck was conveniently engineered to provide the perfect view of the misty mountains of the north. Sunrises are superb here, at the crack of dawn, you can see it peep through the row of the vast mountain ranges, as you enjoy the chilly Baguio morning—nothing is as gold as this. And for a plus, it also has a dainty café, right at the side of the magnificent deck. Looking forward to coming to Baguio now? Well, the property’s construction is still in full swing, but allow us to spoil some deets about its awesome view. Oak Harbor Residences, located at Jackson Ave., Asiaworld, Parañaque City is the only property that stands directly by the Manila Bay. Think: this view of the bay seen from the very window of your unit. 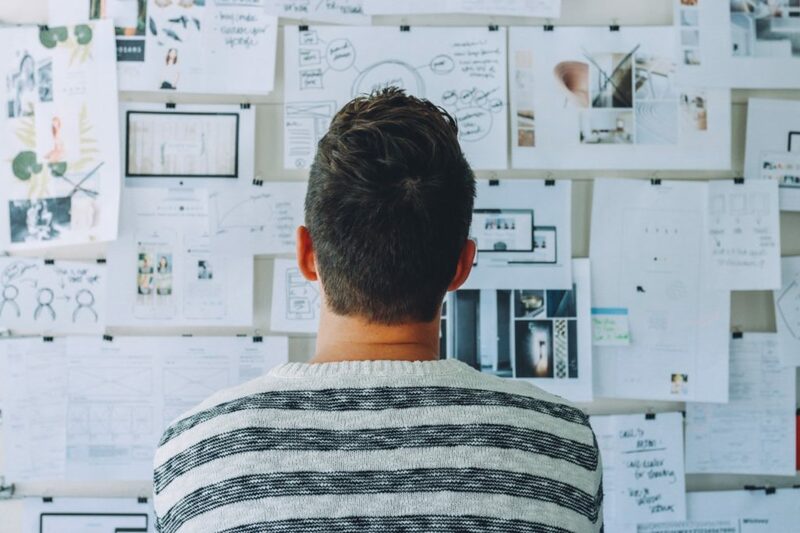 As the property was perfectly located, so are its property features perfectly engineered, tailor-fitting every detail, as flattery to its excellent location. Sunset bay views will be made more special when beheld from its lavish infinity pool. Other common areas and amenities will also be having a great share of the splendid view. 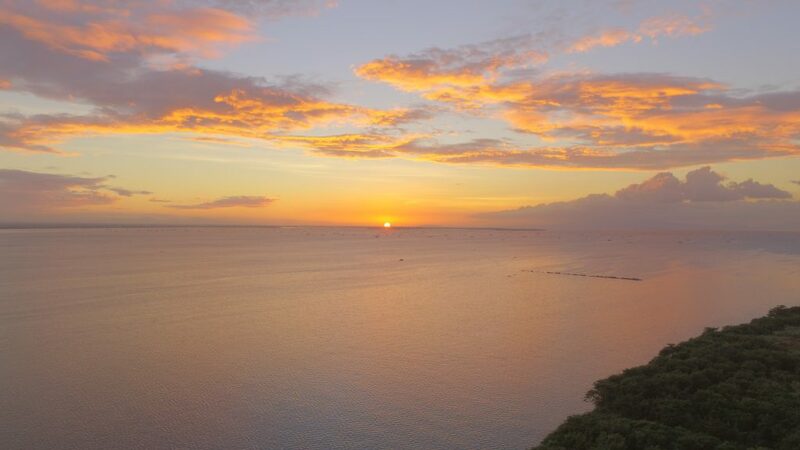 Can you imagine how many memorable sunset moments are waiting to happen here? Breathtaking landscapes are not only good for the eyes and mind, but also for your soul. It is essential to unwind to picturesque landscapes every once in a while, or whenever you feel the need to. Landscapes and scenic views simply remind us of the beauty of the world. Whenever it presents a green-and-blue horizon, city lights and traffic, or endless waves crashing from afar, it all has positive effects on the way one sees it. Your eyes are windows to your soul. Great views perceived from the eyes calm and restore your soul, as you get ready for positive tomorrows ahead.